» Forum » Tech » Tech: Modern games » Screw size..
What is the screw size used to hold the larger cherry switches(*) on to various assemblies in WPC games? These are NOT the ones on then small BA3 switches used on ramps and subways - they're slightly larger. (*) These are the larger switches like in the coin switches on the coin doors, and used in TZ (at least?) on the ball trough. I believe they are 4-40 by 3/4" long. Thanks! Figured they were #40, wasn't sure on the threading tho. I'll order some and give it a shot. need your help. 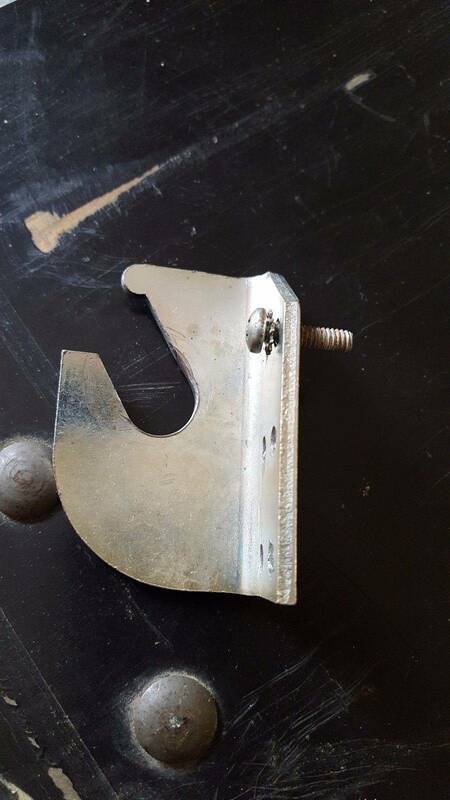 What is the screw size on this pic? Its belong to the hinge bracket of the playfield (sys11, WPC dot matrix family). I have to order some dose of it. I don't have one of those generation games to pull a screw out and check; however, that looks like a #8 or #10. For length, measure from the bottom of the head to the end of the screw. It's definitely #8. You'll have to double check the length.